Fall is here in the northern hemisphere, and temperatures are cooler in the morning and late evening. 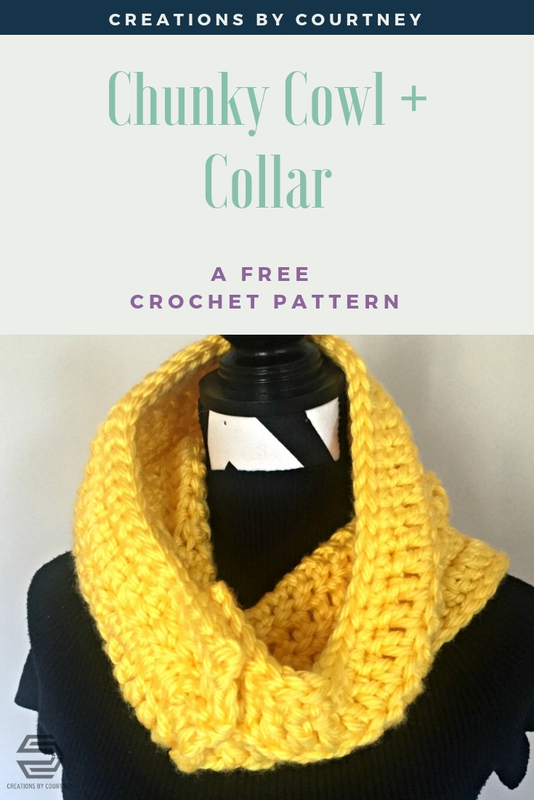 If you enjoy the drop in temperature, but not ready for a coat, check out the Chunky Cowl and Collar crochet pattern! It’s a quick crochet project with chunky yarn and a large hook. 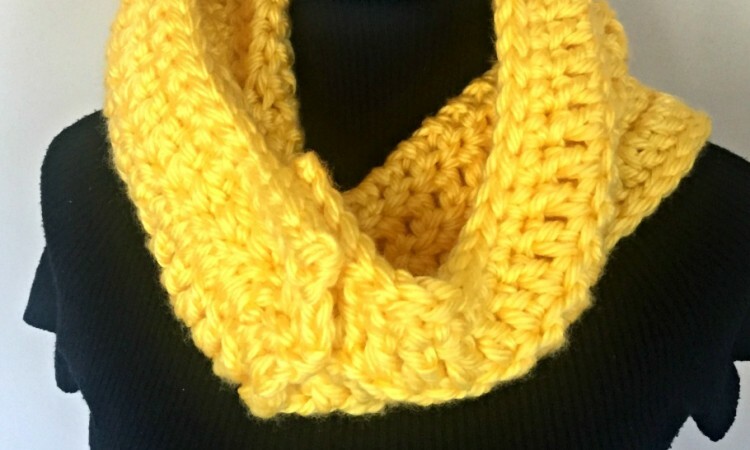 You can make one in an evening to wear on the next chilly morning. 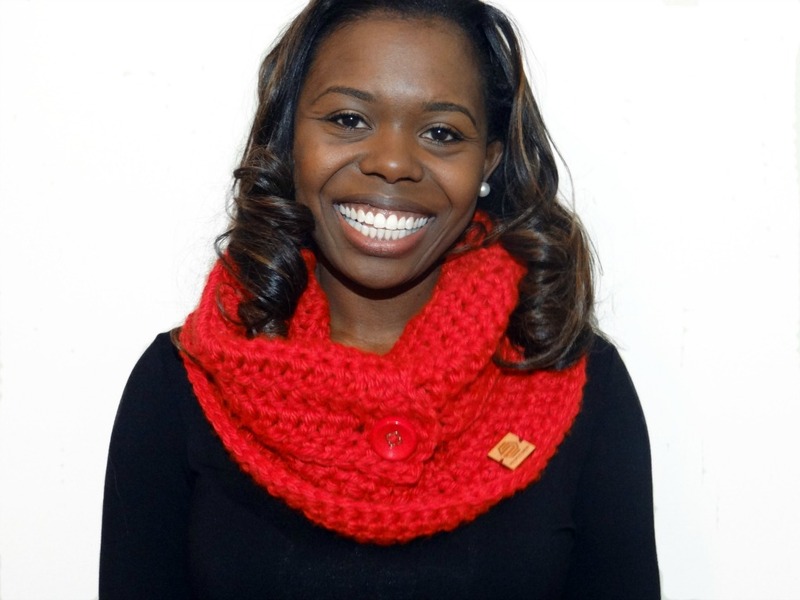 It looks great as a collar with a long sleeve top, or pair it with your favorite wool coat this winter. Who has time to button that weirdly placed top button to keep the cold out??? 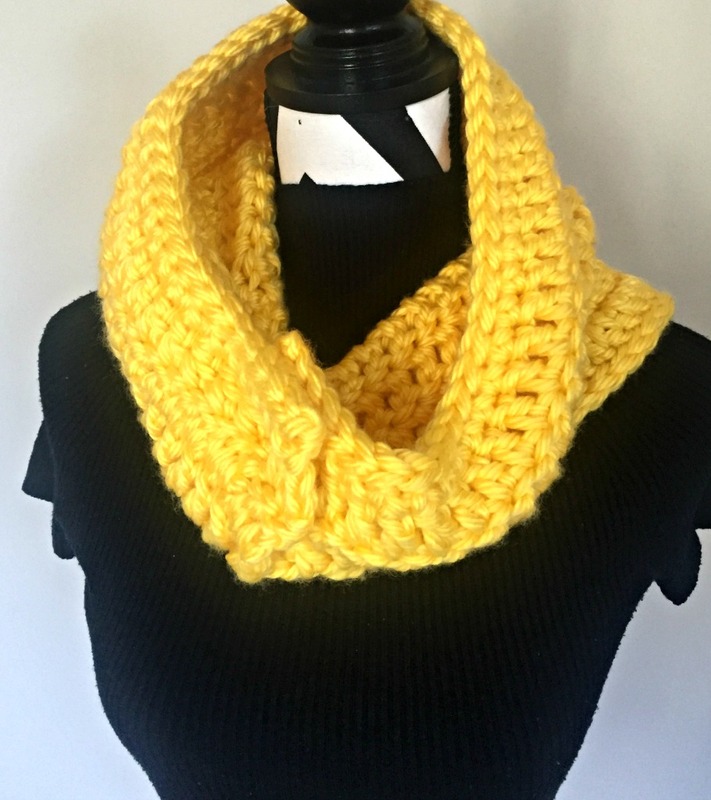 The Chunky Cowl and Collar will keep you warm and stylish. Do you prefer to have a convenient, ad-free PDF copy to save on your phone, tablet or computer? Check out My Shop, Craftsy or Ravelry to purchase a copy for only $2.00! *This post contains an affiliate link. If you decide to purchase the item, I will be compensated a small amount, and you still get a great deal. Affiliate links, highlighted in blue, allow me to share more free patterns. Row 11: First-dc in back loop, dc in back loop of next 3 sts, dc in each st until 4 stitches remain, dc in the front loop of first 4 dc (overlap created), turn. Attach button an inch from the edge. Space between dc creates a button hole. Weave in any ends.